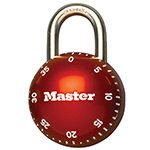 Master Lock® understands that you want your special needs student to achieve as much independence as possible. That‘s why we offer several lock styles that address different abilities and challenges. For students with difficulty remembering combinations but who don‘t have dexterity challenges. 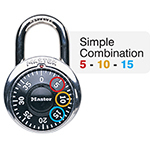 The Simple Combos™ locks use specially selected combinations that use only numbers printed on the dial (no sub-increments) so users can more easily recall and dial their combination. Supervisory access control is available to match your existing system and dials available in multiple colors. For students with mild dexterity challenges but who don‘t have cognitive challenges. The SmoothSpin™ locks require no gripping – users simply rub to open, providing convenience to those with difficulty turning dials. Supervisory access control is available to match your existing system and dials available in multiple colors. For students with limited dexterity, difficulty remembering combinations or visual impairments. The Push Key™ locks feature a no-turn key operation where the user inserts the key into the lock and pulls down on the lock body to open the shackle. 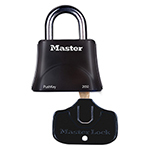 Lock is easy and simple to use with an easy-to-grip flared body. Lock includes four keys – two with large key head covers for easier grip.